I'm all about the easiest way of removing my makeup because I am lazy as hell and would much prefer to have a 3 minute skincare routine rather than a 10 minute one, so when something claims to remove your makeup the easiest way possible it makes my heart race a little with excitement. 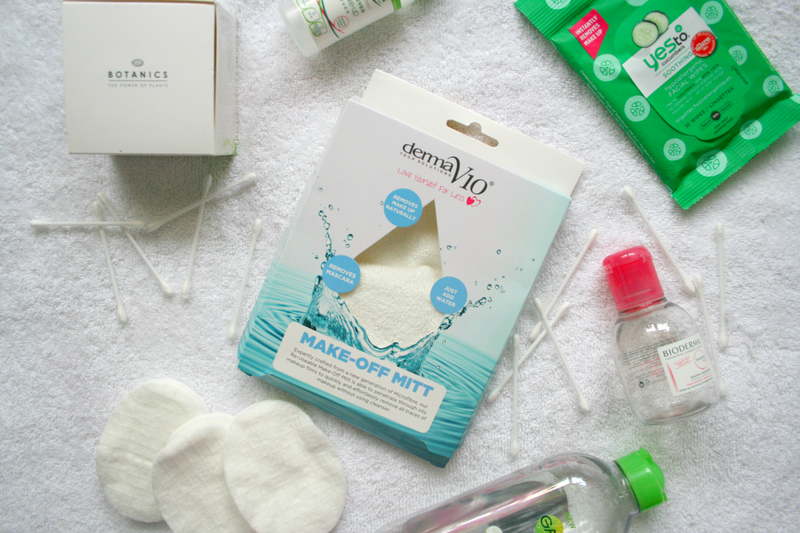 The dermaV10 Make-Off Mitt* is a product that claims to be able to break down the makeup on your face and effortlessly remove all traces of makeup without using a cleanser. To use this you just wet it with water and start wiping away your makeup. 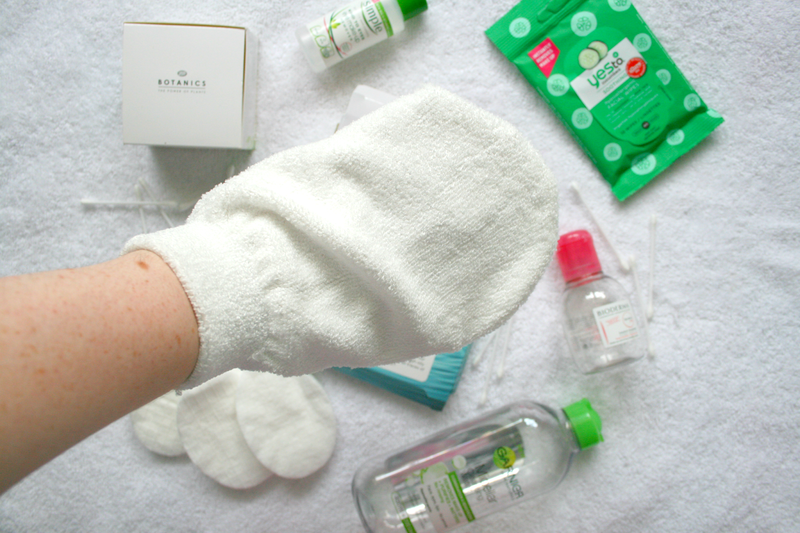 So when it came to taking off my makeup I simply dipped the mitt into lukewarm water and was ready to be disappointed to be honest. However to my surprise this actually worked and I'm kind of still sitting here wondering how. Now I will admit I did go over my face with a cotton pad and some micellar water after using it and there was some left over product but I mean it was a tiny amount and I'm pretty sure it was from my hairline. So for its £1 price tag, yes I would say this is a great way to remove your makeup quickly however personally I do like to go over my face with some micellar water after just incase I have missed anything. I wouldn't use this everyday as I do like to treat my skin to my cleansers etc but it's an absolute life saver for those nights where you just could not be bothered and want to fall into your bed! After using it you simply just wash it with some soap (or S&G shower gel because that's how I roll) and hang it up to dry ready for the next use. Definitely something to keep your eye out for in your local Pound Shop stores. Have you ever tried a make-off mitt before? I'm definitely going to trial this. I always have left over makeup from my hair line and down my neck even when I do use micellar water. This is definitely an interesting concept, I wonder if it would be gentle enough for sensitive skin. I usually pre-cleanse with jojoba oil to remove my makeup and follow up with a creamy cleanser.